Apple proudly designs their hardware and software in California, but the new iPhones would soon be manufactured in India. Apple's received a green signal from Karnataka administration to setup a manufacturing unit in the state. While concrete information is not available about the schedule; it's expected that the production would start as early as in June this year. Many states were competing to lure Apple, the iPhone maker had finalized Bengaluru as the destination for assembling the phone in December last year. Apple's decision to make the iPhone in India goes very well with central government's 'Make in India' campaign. Mr. Kharge, who heads the IT department for the government of Karnataka informed the media that Apple's manufacturing unit in Bengaluru will forster cutting edge technology ecosystem in the region. 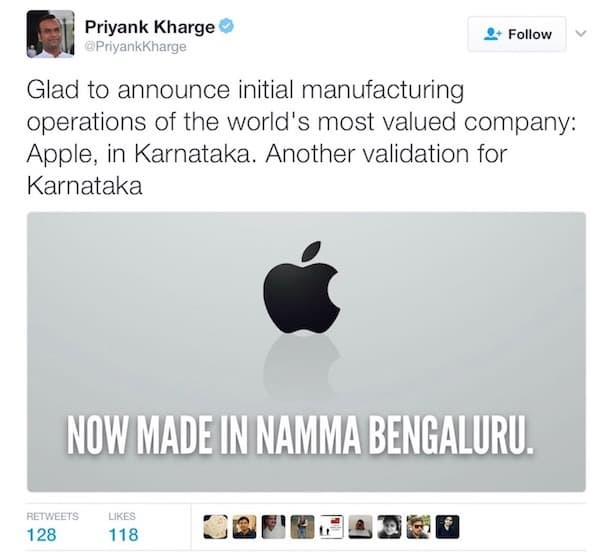 There are several reasons to choice of Bengaluru for manufacturing iPhones. The city continues to be the IT capital of India and Apple's been actively building a community of techies around their proprietary technologies in the region. Last year in May, Apple had setup a development center in the city to accelerate the adoption of Swift programming language so that more apps could be built for Apple TV, Apple Watch and iPhone. Bengaluru is also closer to Tamil Nadu where Flextronics, one of Apple's suppliers has a unit. With a decline in Apple's iPhone sales in China, Apple's now looking at India as its next big market. With a manufacturing unit in India, we'd expect iPhones to cost lesser for the local buyers. 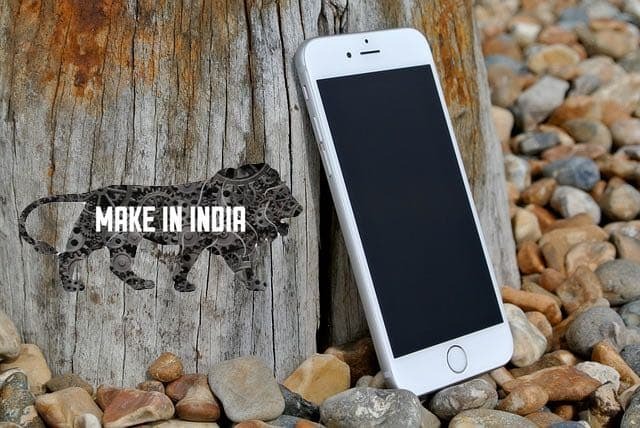 Let us know whether you look forward to a 'Made in India' iPhone. We also learn that if all things go well the manufacturing unit is likely to be set up by Taiwanese company 'Wistron Group' on the outskirts of the Bengaluru city. As of now, the final decision is yet to be taken by Apple and is subject to Karnataka Government's willingness to accept Apple's request for various incentives. We'll keep you posted as the story unfolds.